Price: Can't remember. Helpful, aren't I? I was walking through San Francisco's Chinatown a couple months ago with a few friends and happened upon Aroma Tea Shop. With some inkling that I had heard good things about this place somewhere at some time, we stopped in for a quick tasting of a few crowd-pleasers the shop had lined up. I guess after all the sweet Tie Guan Yin, cooked puerh, and some sort of green tea, the siren's call of yancha was too difficult to resist. I picked this high fire Da Hong Pao off the shelf and asked if he could brew us some to sample. He obliged but brewed it a bit weak— weak for me anyway, perhaps not everyone brews yancha to the milkshake consistency (Not literally. Uuggghhhh.) some of us prefer. Still, it seemed like it had potential so I stumbled, slightly tea drunk, out of the store with a satisfyingly full bag of it. 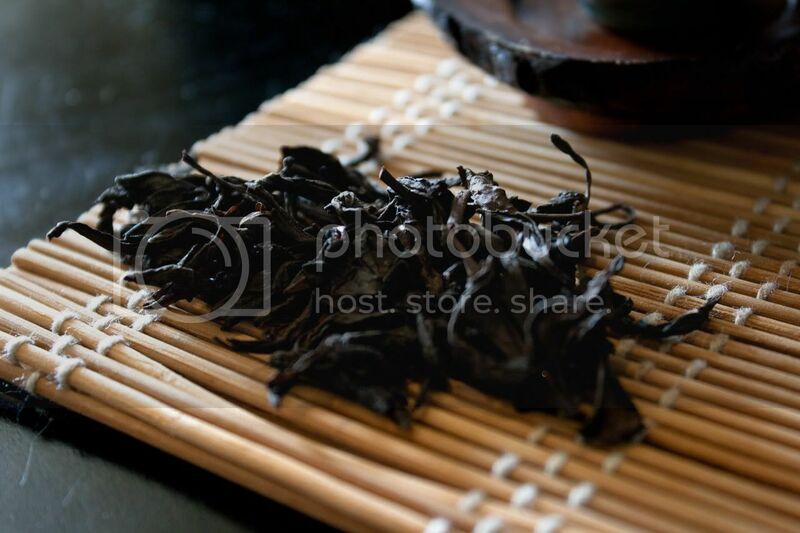 The dry leaf is very dark, with a deep, earthy cocoa aroma. There isn't much of a floral or fruity nose to it. This tea is serious business. I honestly don't think it's possible to make this tea taste over-brewed. If the neglect I mentioned in my last post was borderline criminal, I should be hanged for the atrocities I committed against these leaves. You can see in the photo how dark I brewed this— it's almost black— yet there is barely a hint of unpleasant astringency. Instead there is a relatively simple yet rich mocha flavor that turns sweet as it cools, and a slight oily sensation felt on the lips. Coffee-lovers would really get a kick out of this, I think. I don't remember other Da Hong Pao tasting like this, but I'm not sure whether to chalk it up to mislabeling or just greater variability within the variety than between the various yancha varieties. Regardless, it's pretty delicious. I wish I could tell you which of the two Da Hong Pao offerings on their website (Premium or King) this tea is, but if you want to take a gamble and order one of them, let me know what you find out. This tea sounds very delicious. I’ll make sure I’ll try it soon. 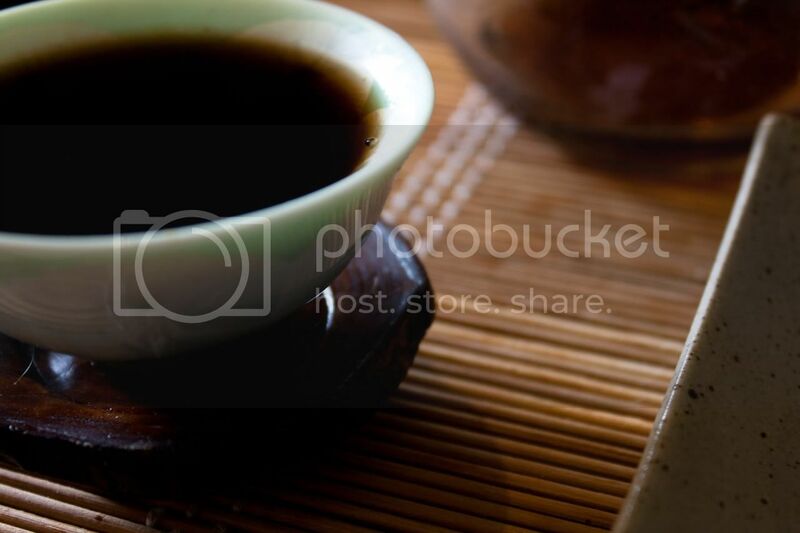 This tea looks incredibly delicious in your photos. If you have any suggestions for vendors in NYC please let me know @ http://notesontea.blogspot.com. Many thanks. Interesting.. a tea that is borderline coffee. Just goes to show how much variation there is between tea brands..
Hi tea nerd, I'm not a blogger, but I'm a tea lover ^_^ and recently found out there are many of you tea lovers actively out there. I like your blog style, relax and fun. I'd like to share tea with you in the future. Nice info! 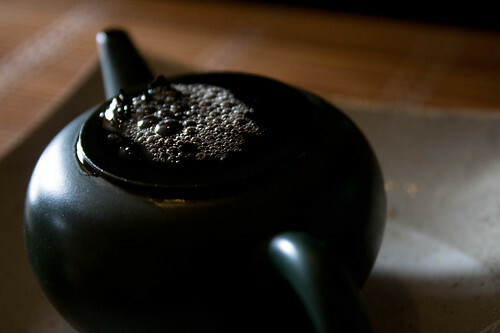 Tea is good for healthy. Nice post! I always had issues explaining people the taste of Da Hong Pao because the aroma and taste is so unique. And it's also hard to relate to food taste. I like the comparison with coffee. Thanks for this great information.